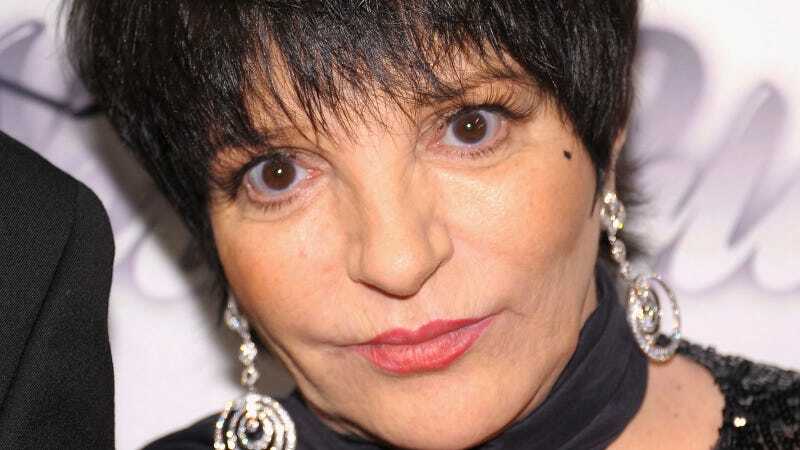 Liza Minnelli seems so sweet and goofy and genuinely awestruck to be alive...until you cross her (especially if crossing her involves the woman Liza still calls “Mama,” Judy Garland, her mother). Then you might get a rather tersely worded statement directed at you from her on Facebook, as Renee Zellweger and some unnamed gossip have. I feel like there is a 300-year-old redwood’s worth of shade in the ellipsis here: “I have never met nor spoken to Renee Zellweger...” Fill in the blank as to why. Or don’t. It speaks for itself. Anyway, you should look at Minnelli’s Facebook, if you’re still looking at Facebook these days. It’s as earnest and imperfect as that of your aunt, and it’s fun pretending you’re related to an EGOT-winning American legend.